The legal bans on the worst “Gaia killer” pesticides such as DDT spurred the pest control industry to innovate a stream of better-targeted chemical weapons, or at least ones that break down faster in the environment. Then, though the pesticides and herbicides might kill masses of helpful creatures with friendly fire, these poisons would degrade into other chemical combinations within days or weeks. The main active ingredients (such as glyphosate in the herbicide Roundup), seemed to show no lasting ill effects on mammals, at least according to studies by the producers. In general, the rapid development of new chemical weapons outstripped any scientific research concerning their impact on the web of life. The consequences for wildlife and human health were commonly discovered by chance. 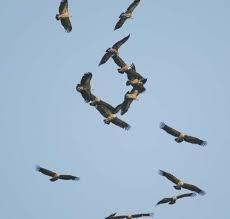 For example, in the 1990s, about 99% of India’s millions of vultures suddenly died, following introduction of the new veterinary drug diclofenac. Without that mighty winged cleanup crew, the Parsi community could no longer give its dead their traditional “sky burials” by offering them to vultures on the Towers of Silence. Across India, the removal of decomposing animal bodies fell largely to rats, whose populations started to rise. The authorities noted local outbreaks of anthrax, contracted from rotting carcasses. Health workers feared a rise of rabies from rats. Fortunately, researchers identified diclofenac as the chemical responsible. The Indian government banned this drug, and vulture populations showed signs of survival. In a similar but more alarming way, about 95% of honeybees in the developed world have recently disappeared, and many experts strongly suspect neonicotinoid pesticides and fungicides. Of course, if this die-back isn’t reversed it could end plant pollination as we know it. Out of precaution, Germany, France, and Slovenia restricted the use of neonicotinoids. But when the European Union debated the issue in the winter of 2013, half of the 28 member nations opposed restrictions, pending further proof that the pesticides were to blame. Professor Lin Field, of Britain’s Rothamsted Research firm, insisted that the relation of neonicotinoids to bee collapse was open to doubt: “Of course they can kill bees; they are insecticides. But whether they actually do this or whether sub-lethal effects occur and damage the colonies on any important scale has not been proven” (Kinver, 2013, March 15). Meanwhile in the USA, an American Honey Producers Association member said, “We’re facing the extinction of a species” (Towers, 2013, January 16). 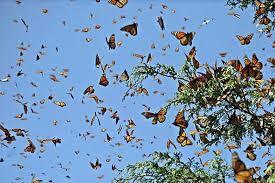 And it wasn’t just bees, but also bats, moths, and butterflies. A recent British study found steep population declines in two-thirds of UK moth species over the past 40 years, with garden darts declining 98%, double darts 98%, dusky thorns, 98%, hedge rustic moths 97%. (Kinver, 2013, Jan. 31). After more consideration in April 2013, the European Commission voted to restrict neonicotinoids—though many observers said the farmers would just turn to other more destructive poisons. In most countries such as China, farmers and consumers have been on their own to figure out if they are being poisoned. One Beijing-area farmer named Zhang Zhimin explained, “Agriculture has become a war between humans and insects.” Most farmers, she observed, douse their land with pesticide before planting, steep the seeds in pesticides, spray the crops repeatedly as they grow, and then sprinkle powdered pesticide (mainly phoxim) on the produce as a preservative before shipping. “Normally,” Zhang reasoned, “putting poison onto another’s plate would be considered a crime. However, spraying poison on food that goes on your plate is somehow ‘proper’ behavior” (Tansey, 2012, 167–68). In North America and Europe, a slightly better supported medical research sector slowly started to investigate possible links between pesticides and the rise of cancers or dementia. Recently the European Food Safety Authority published evidence that two kinds of neonicotinoid pesticides “adversely affect the development of neurons and brain structures associated with functions such as learning and memory” (McGrath, 2013, December 17). Maybe these poisons affect us roughly like they affect bees. Also in December 2013, JAMA Neurology published a study showing a link between DDT exposure and Alzheimer’s (Gallagher, 2014, Jan. 28). We might ask, do you remember trucks spraying DDT around your neighborhood in the 1960s? But the new chemical weapons such as Monsanto’s glyphosate-based product are reportedly safe. Only a few independent researchers have started raising doubts about that. In 2013, two studies by Stephanie Seneff and Anthony Samsel showed preliminary evidence that glyphosate exposure is linked to the rise of Celiac disease, Parkinson’s disease, and some cancers. In general, Seneff and Samsel claimed that gyphosate’s “negative impact on the [human] body is insidious and manifests slowly over time as inflammation damages cellular systems throughout the body” (2013a, b). Monsanto’s corporate experts quickly denounced the studies as scientifically fraudulent. At least the battle was on. 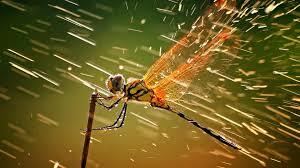 Meanwhile, the insects and weeds were far from losing every battle in the chemical war. Many bugs, including cockroaches, lice, mosquitoes and aphids, were rapidly evolving for increased immunity to pesticides. Bedbugs showed thicker skins, higher enzyme production, and a shift in body chemistry to proteins that block chemical poisons. Mosquitoes grew increasingly oblivious to the repellant Deet. Across the world, farmers found crop-eating insects more resistant to every pesticide thrown at them. 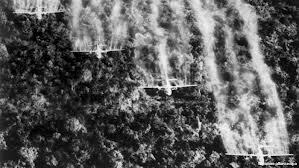 The BASF Company responded with more powerful products, including its Respect and Warrior insecticides. The weeds also evolved for higher poison tolerance. Farmers everywhere found they needed increased doses to keep unwanted plants down. Many farmers found themselves on a “toxic treadmill,” using so many applications of fumigants, fungicides, herbicides and insecticides that they feared to let their children go near the fields. The higher doses of herbicides could also threaten the crop plants, not only the weeds. And for herbicide producers like Monsanto, the answer was to genetically modify the crops for increased tolerance to their own herbicide products. Monsanto specifically bio-engineered crops to survive extra-high doses of its own glyphosate-based Roundup herbicide. It was so successful that by 2012, over 90% of maize, soybean, cotton, sugar beet, and canola crops grown in the USA were genetically modified for extra glyphosate tolerance, and were therefore “Roundup Ready.” The problem was that the weeds also evolved tolerance. 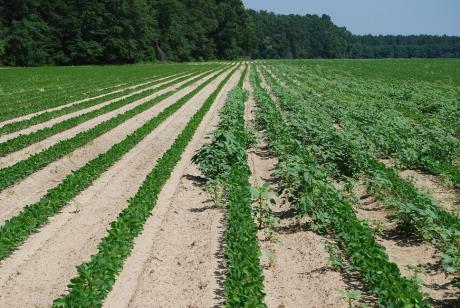 In the summer of 2012, new “superweed” versions of pigweed or giant ragweed strangled Roundup-ready crops on millions of acres across more than 20 US states. And to meet this latest escalation of the war, some scientists proposed developing a new generation of genetically modified crops, bred to survive applications of 2, 4-D, which is an ingredient in the defoliant Agent Orange (McGrath & Strasser, 2012, Sept. 18). Sure enough, as of January 2014, the US Department of Agriculture gave approval to Dow Chemical for developing 2,4-D-tolerant strains of corn and soybeans. The Department’s staff argued that the hybrid seeds themselves were harmless, and the resultant increased spraying of 2,4-D on food crops across the nation was a separate issue (Kimbrell, 2014, Feb. 18). It seems that “Agent Orange-Ready” corn and soybeans (sprayed with 2,4-D itself) are the way to your table. But if the superweeds can pierce even this line of offense, then we have to wonder if the human organism must also be modified for survival in a chemical-saturated environment. Or maybe we’ll just have go back to weeding crops mechanically, or even doing it by hand. Apart from the chemical arsenal, we’ve also increasingly introduced biological weapons. One example is fighting gypsy moths with Bacillus thuringiensis, which induces cholera-like indigestion in moth larvae. It doesn’t seem to hurt most other creatures, but it kills almost all moths and butterflies. That would include, I presume, the increasingly endangered Monarch butterfly. Since the 1980s, Monsanto head of research Howard Schneiderman has proposed developing biological pesticides based on hormones, which might be designed to kill only the specific species targeted for destruction. Back in 1900, an American civil engineer named John Elfreth Watkins published a surprisingly accurate list of predictions for how the world would change by 2000. His fourth prediction, however, proved far too optimistic: “Mosquitoes, house-flies and roaches will have been exterminated” (Geoghegan, 2012, Jan. 10). That was far from attained, though many chemical corporations and property managers strove to make it happen. In Toronto at least, we got used to having not one bug in sight. People might scream in fear if they saw an insect. But over most of life’s history, the world was seething with bugs. The noise of insects in the air could be omnipresent, and some places on earth are still that way. Walking cross-country through the forests of Borneo, Eric Hansen found the noise almost deafening: “Discordant harmonies [of insect song] blared from high up in the jungle canopy only to be obliterated by staccato bursts of nearby insect sounds. The ground was alive with the rustling sounds … of millions of foraging insects (up to two thousand termites per square yard)” (1988, 123). 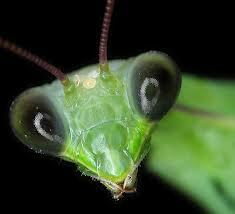 The massive populations of insects have played a role in the ecosystem akin to the plankton of the sea. But in response to bad PR following the publication of Silent Spring, Robert Stevens, a spokesman for the DDT-manufacturing American Cynamid company argued, “The real threat, then, to the survival of man, is not chemical but biological, in the shape of the hordes of insects that can denude our forests, sweep over our croplands, ravage our food supply and leave in their wake a train of destitution and hunger” (cited by Wapner, 2010, 88). Obviously, the war went on. After DDT was banned (save in cases of disease epidemics), foresters in Canada turned to fighting bark beetles by injecting trees with arsenic or monosodium methanearsonate. When local residents raised concerns about that, the British Columbia Forest Practices Board admitted that its code forbade poisoning the land, water, or animals. However, the war on the bark beetle trumped this policy, because “the prohibition against damage to the environment does not apply to pesticides” (Nikiforuk, 2011, 64–65). The question, of course, was whether the bugs were worse than the cure. After Sri Lanka stopped spraying DDT, the country’s cases of malaria rebounded from 18 in 1963, to 600,000 by 1968. Spokesmen for DDT producers accused anti-pesticide protestors of causing more deaths worldwide than Hitler. But after Sri Lanka resumed spraying DDT, its health workers found that the poison no longer worked so well. Mosquitoes had evolved. As in many other countries around the world, Sri Lanka’s officials switched to new pesticides such as Malathion. 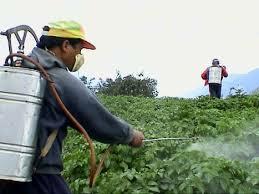 They also focused applications of pesticide on the walls of houses, rather than spraying all the surrounding fields. Instead of poisoning the whole landscape, they aimed for a more modest goal of keeping mosquitoes out of people’s houses. Over time, the World Health Organization focused more on medicines and nets to control malaria. Many nations, such as Mexico, turned to synthetic pyrethoids (modeled on chrysanthemum-based pyrethrum) as a repellant. Another angle was to develop compounds that mask the human smell, giving people an “invisibility cloak” toward mosquitoes. It was a process of error and trial, possibly toward an optimal balance of creatures. Of course ancient people also had pest repellants. The ancient Egyptians used natron salt soda to keep ants away, and onion seed to drive off snakes. They put cat grease on sacks of grain to make mice afraid. Across the tropical world, people drove off bedbugs by putting their beds out in the hot sun. Traditionally, most people have hoped to repel rather than exterminate undesired creatures, and many modern farmers hope for similar methods. It may be hard for industrial monocrop farmers to place chrysanthemum “companion plants” among their furrows to repel aphids. But organic gardeners can accommodate some diversity in their fields. It may seem a step backward to raise crops that need less water and pesticide, like growing switchgrass rather than corn for ethanol in Nebraska, or local sorghum rather than hybrid wheat in arid parts of India. But fitting the crop to the environment could be more sustainable than fitting the environment to the crop. In the future, pest control will probably get more biological and less chemical. And of course this too can blow holes in the food chain when invasive species are brought in as a bright idea. But in general, encouraging rather than suppressing natural predators is a bit more likely than chemical warfare to balance things out. We might revisit a suggestion made by the US Fish and Wildlife Service after its initial tests of DDT at the Patuxent Research Refuge, on August 22, 1945. 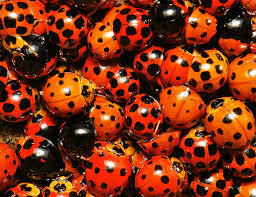 The field scientists advised that the chemical could be dangerous, and that releasing natural insect predators such as small mammals, amphibians, birds, or other insects, could be “the cheapest, safest, and one of the best means of controlling insect pests” (Souder, 2012, 113–114). Some modern farmers do that. Sugarcane farmers in Brazil are spreading eggs of wasps that eat sugarcane borer moths. In Cameroon, people fight termites in their homes by bringing in gourds full of driver ants, known as the “prince of insects,” to clean out the house. Ladybugs and bats have always been helpful. But we’ve developed a taste for indiscriminately lethal weapons. In Africa, people have long believed that tsetse flies guard the forests and stop people from destroying them. Likewise, the Portuguese explorer João de Barras blamed God for endowing West Africa with vast wealth, but then guarding it “with a striking angel with a flaming sword of deadly fever who prevents us from penetrating into the interior to reach the springs of the garden” (de Villiers, 1997, 212). It was partly the widespread spraying of insecticides that knocked those boundaries down, enabled vast forests to be cleared, and the populations of wild animals to be vastly reduced. Of course we have to manage the world in a way that meets our needs. But the notion of balance puts a twist on the logic of pest control. In the checks and balances of life, maybe the insects are needed to keep control on us. de Villiers, Marc and Hirtle, Sheila (1997) Into Africa. Key Porter, Toronto, p. 212. Gallagher, James (2014) “DDT: Pesticide Linked to Alzheimer’s.” BBC News, January 28. Hansen, Eric (1988) Stranger in the Forest: On Foot Across Borneo. Houghton Mifflin Co., Boston, p. 123. Kimbrell, Andrew (2014) “Meet the New Monsanto: Dow Chemical … and Their New ‘Agent Orange’ Crops.” Huffington Post, February 18. Kinver, Mark (2013) “UK Moth Numbers Suffer Crash, 40-Year Study Finds.” BBC News, January 31. Kinver, Mark (2013) “Bee Deaths: EU Delays Action on Pesticides Ban.” BBC News, March 15. McGrath, Matt, and Strasser, Franz (2012) “Superweeds Pose GM-resistant Challenge for Farmers.” BBC News, September 18. McGrath, Matt (2013) “EU Says Pesticides May Harm Human Brains.” BBC News, December 17. Narain, Sunita and Chandra Bhushan (June 15, 2005) “Where Poison Flows in the Veins,ˮ and “Residue of a Revolution.ˮ In Down To Earth, Centre for Science and Environment, New Delhi. Nikiforuk, Andrew (2011) Empire of the Beetle: How Human Folly and a Tiny Bug are Killing North America’s Great Forests. GreyStone Books, Vancouver, pp. 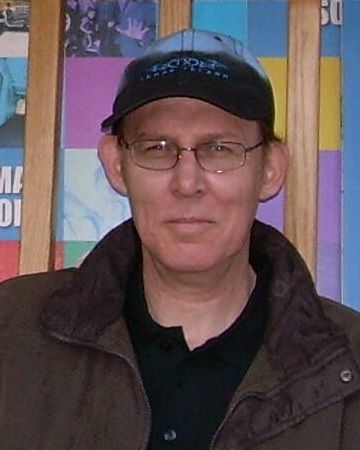 64–65. Souder, William (2012) On a Further Shore: The Life and Legacy of Rachel Carson. Crown Publishers, New York, pp. 113–114. Seneff, Stephanie and Samsel, Anthony (2013a) “Glyphosate’s Suppression of Cytochrome P450 Enzymes and Amino Acid Biosynthesis by the Gut Microbiome: Pathways to Modern Diseases.” Entropy, 15(4), pp. 1416–1463. Seneff, Stephanie and Samsel, Anthony (2013b) “Glyphosate: Pathways to Modern Diseases II: Celiac Sprue and Gluten Intolerance,” Journal of Interdisciplinary Toxicology, 6(4), pp. 159–184. Tansey, Stephanie B. (2012) Recovery of the Heart: Dialogues with People Working Towards a Sustainable Beijing, New World Press, Beijing. Towers, Paul (2013) “Beekeepers Expect ‘Worst Year for Bees.’” GroundTruth, January 16. Wapner, Paul. (2010) Living Through the End of Nature: The Future of American Environmentalism. The MIT Press, Cambridge, MA, p. 88.